This past week was one of the worst for Kenya after the Alshabaab terrorist attacked Garissa university, killing 147 people and injuring more than 79. The attack is said to be the worst since 1998 bombing of the US embassy in Nairobi which killed about 200 people.Just last year, the Alshabaab terrorists attack the Westgate mall in Westlands Nairobi killing about 67 and injuring many more. Although this latest attack has not been given much attention as the westgate one, it got many people thinking of what the government is doing to protect the citizens. 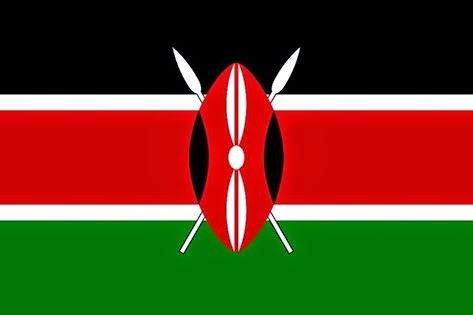 Most Kenyans took it to social media to send their condolences to the families and express their anger towards the government for not doing enough. Local celebrities were not left behind, they also took it to Facebook and twitter to express how they felt and to show support to the affected families. Here are some of their messages. Saddened by the attack that took place this morning at the Garissa University. Sincere condolences to those affected. It is my hope that our security agencies on ground will bring these senseless killers to book..
On days like this I'm glad I'm no longer on-air. I don't have the emotional capacity to articulate for others what we have seen & heard from Garissa. But that said I'm coldly angry. -Angry at the corruption that has made our border easy to penetrate, and our internal security so ineffective. -Angry at the ineptness and sloth that characterises our best and brightest in the security establishment, busy as they are with contracts, deals. -Angry at the political establishment, who would rather play games than get about putting in place structures and policies that would safeguard people, and deny sanctuary to those who would harm us. -Angry at the whole human rights and NGO establishment, with their blithe approach to serious matters, their intellectually lazy acceptance of Western liberal assumptions about human nature, and consequently their having swallowed hook, line and sinker the doctrine of the unquestioned supremacy of individual rights. -Angry at the media and associated commentariat, pontificating from lofty perches, feeding our thirst for sensationalist nonsense, for the childish doings and utterings of politicians. -Angry at the leadership of the Muslim community, who will, predictably, trot out their well rehearsed apologia for this latest atrocity, blaming everyone other than themselves. -Angry at myself, for being one of the many Kenyans who will do nothing & can do nothing about all this. Impotent. A keyboard warrior. And it is in this angry spirit that I support the President's reaction of ignoring the court order, we cannot continue ignoring the fact that we don't live in Scandinavia. Courts have become detached from the dangerous world we live in, the immediacy of the threats we face. The police recruitment exercise may have been rife with corruption, but this does not render it completely worthless. To stop everything as we search for an abstract purity is nonsensical. And I hope this new found trait of making bold, unconventional moves, of rising over our obsession with processes and instead pointing the way forward, will continue and intensify. I support Ahmed Nassir who dares to say let's look inwards for the answers & who to blame. I can hear the siren of voices shouting that this will encourage dictatorship, is against our constitution, that we need to understand the context, be sensitive to the feelings of the marginaliaed etc. I would rather, though, have this debate happen in the context of a safe citizenry, and a Government that gets things done. :insecurity, corruption and tribalism. Tribalism feeds corruption, which in turns feeds our insecurity. Drug trafficking and youth unemployment complete the jigsaw". We must confront this triangle. Garissa I am angry because I am all cried out. Garissa I hold you in anguished prayer.